Over the last few months several of my friends have had babies, even over the last several weeks! It's really hard to not have baby fever when they keep doing that. Ha! It's been so fun to watch them become parents and see how they transition into their new role. Plus, it's amazing to look at their baby and try to figure who they look like. It's so crazy!! There's no way that you can't believe that a baby is a miracle from God when you look at them. 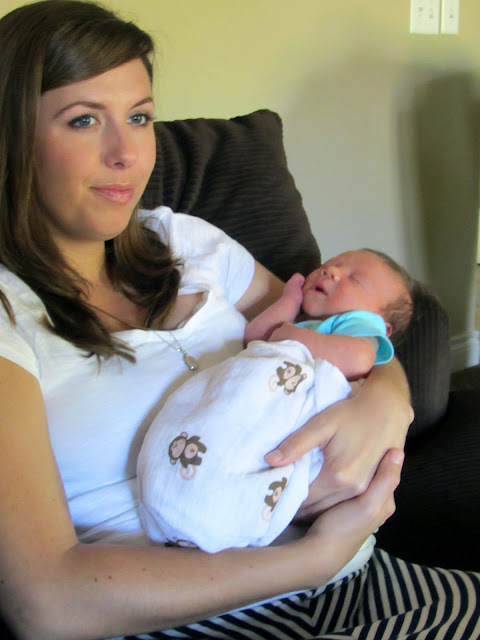 On August 28th Ryan's cousin, Adrienne, and her husband Brent had their first baby boy named Brody. He looks so much like his dad! Oh I could just squeeze those little cheeks! He was so sweet. I totally forgot to get a picture with his parents! Then this past Wednesday, Sept. 5th, one of my best friends, Michelle, and her husband David had their first baby boy, Henri! I of course had to make a special trip back to KC to see and love on him. I swear he looked like the Gerber baby. He looked so perfect! The very happy (& very tired) new parents. I literally came over right when they got back from the hospital. Oops! This is sort of off topic from babies but not really! 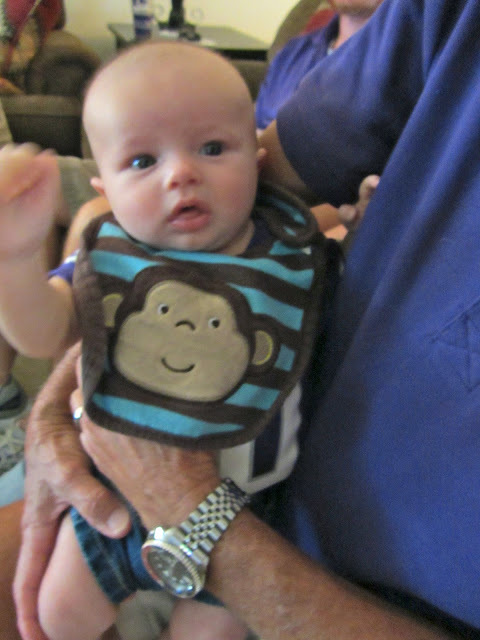 Right after stopping in KC to meet baby Henri, I headed to Manhattan, KS to meet up with my hubby for the K-State vs Miami game. We were also looking forward to meeting another one of our friend's baby. Then we had the pleasure of watching KSU dominate Miami!! It was Harley day so before the game the entire stadium was filled with loud roaring motorcycles. It's been a long standing tradition to have a Harley day once a year. I'm not sure why but it's really fun! Oh how I miss my Manhattan. Ryan said he wouldn't mind retiring here. :) The stadium was under construction because they are adding on. 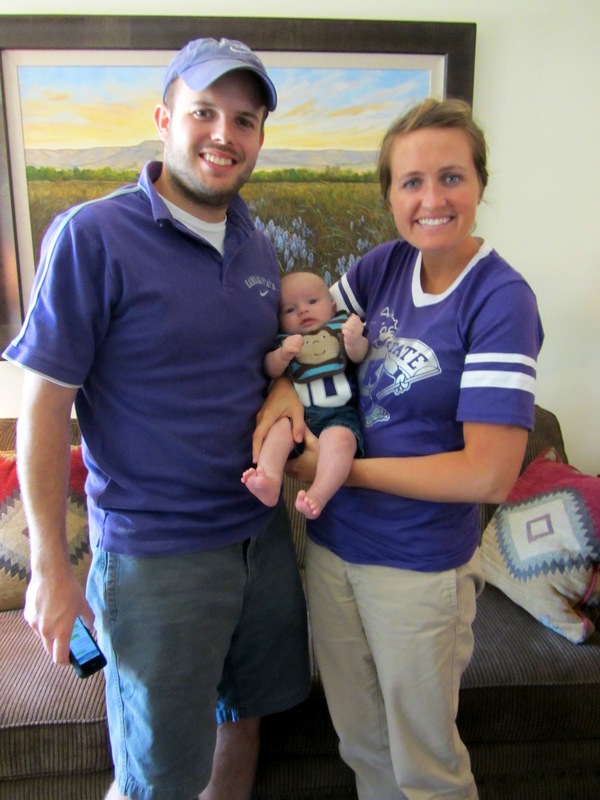 After that amazing game we met up with our friends, Jordan & Emily, to meet their little guy, Henry. He was born back in June. He was just the cutest thing ever! I wish they didn't live in Houston so that I could see this guy more often. The proud parents with their adorable bundle of joy! I have friends having babies almost every month until it's our turn. I guess it's just that time of life. It's just getting me even more excited for the day we get to meet our little one! Ok, now you are giving ME baby fever!!! You look like a natural holding the little ones, Ryan on the other hand...haha. He'll get it. 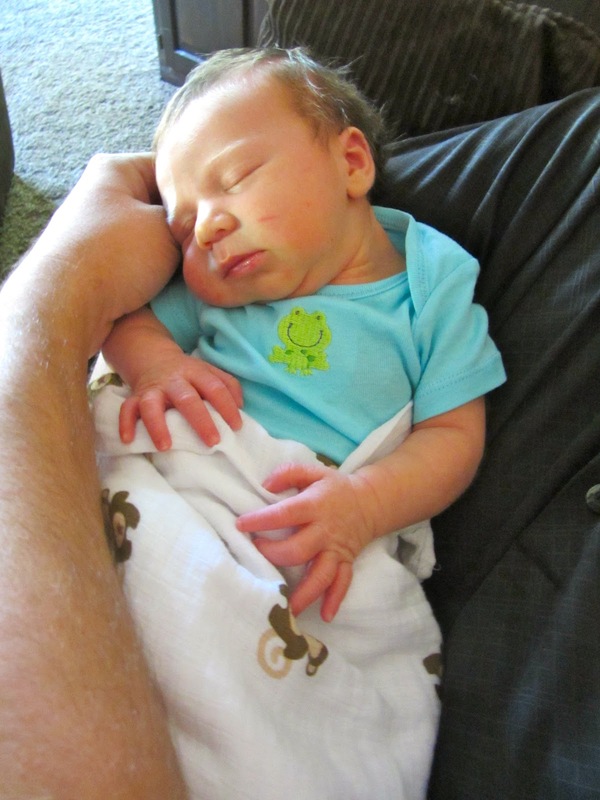 As soon as your baby is placed in his arms, it will be the most perfect fit ever. And I LOVE your baby bump! !